'Is Christmas Cancelled?' 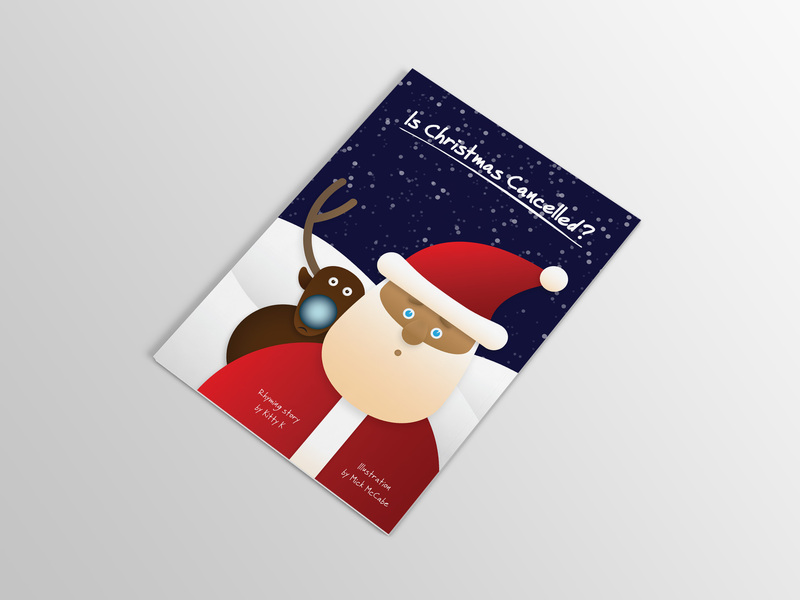 is a Christmas story by Kitty K, an up and coming children's book author. It is the story of Rudolph having a cold and his nose losing its glow. Santa can’t fly without a light so he lets the world know that Christmas must be postponed. Eva Rose and Fairy Nuff have different ideas though! I illustrated the story in full, along with graphic design of the layout and promotional materials. The illustrations are vector based using simple shapes, strong colours and gradient shading. This gives a modern, fun look to match the story. The book was launched in 2015. 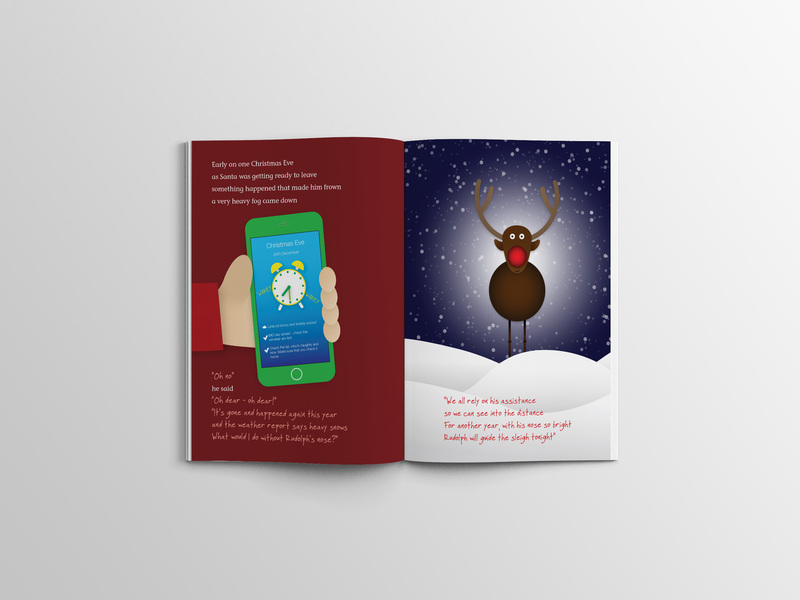 Prior to the children’s book, we released the Is Christmas Cancelled story as a parallax website with animated illustration and audio narration. Using Adobe Muse, I developed the story as a one-page website. 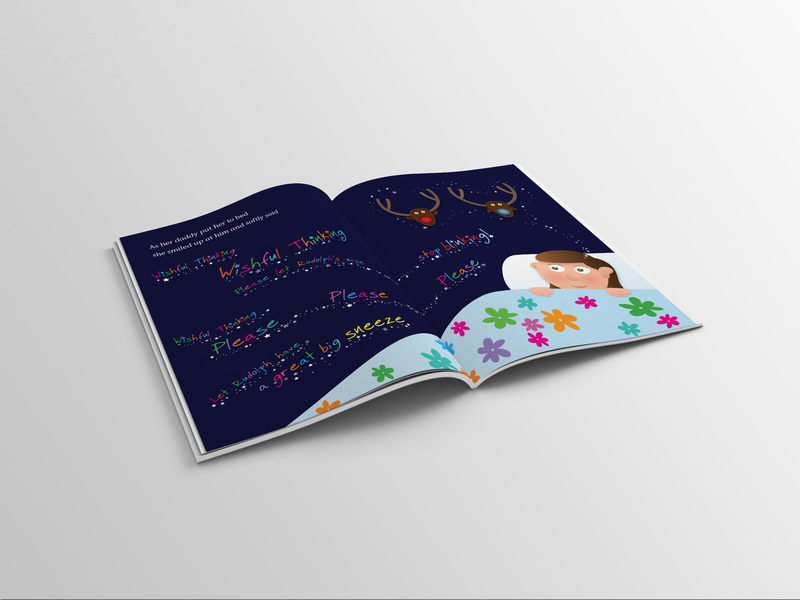 Listening to the narration, the user scrolls down the page, controlling the animation themselves, creating an engaging user experience with great entertainment for young and old.